Here are some great tips to help you improve your health, strength, physique, and fitness, whatever your goals may be. Whether you’re a seasoned trainer or new to exercise, these handy hints will help you hit your targets in 2016. [caption id="attachment_5792" align="alignright" width="400"] Pic: awakenthealpha[/caption] You must make time to train. This is especially important if you already lead a busy, hectic life. Set a time for training and stick to it. Try to fit in an hour a day of some form of exercise, whether you choose weight training, jogging, or just taking the dog for a brisk walk. Virtually the whole year lies ahead of you, so what are you going to do with it? Maybe you already have a plan in place? If not, get one sorted. There’s no point in just doing any old form of exercise when the fancy takes you, you need clearly defined goals. Is your plan to gain muscle? Lose fat? Improve your cardio? All of these things? Break long-term generic goals down into smaller, specific, and achievable goals so you can monitor progress effectively. There’s no sense in doing something you don’t enjoy. If you’re new to the fitness game, try a few options. Hate running? Try cycling. Can’t stand lifting weights while doing boring cardio? Try weights centered HIIT. Don’t waste your time comparing yourself to other people, especially the professionals you see all over the web and in magazines. Everybody is different; they’re goals are different, their physiology is different, their attitude is different. Use the time to concentrate on your own training and goals instead. Keep up to date with all the latest advancements in training, nutrition, supplementation, and all other fields associated with your goals, as well as ensuring you are well versed in the basics. Learn about the human body, how it works, how to assess yours. Knowledge really is power, and it could save you a whole lot of wasted time. Don’t expect miracle results. You’re not going to see a change overnight, so make sure you assess yourself sensibly. Don’t stand on the scales every time you visit the bathroom. 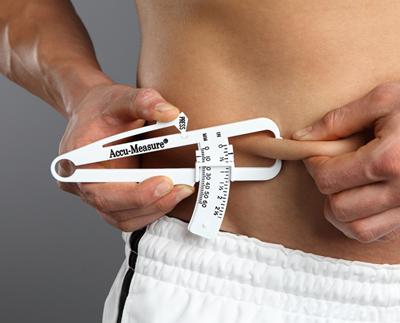 Your weight fluctuates throughout the day for many reasons. Similarly, don’t reach for the fat calipers every few days, expecting to see a big change. Give yourself a full assessment every three months, and if you’re not happy with the results, change things up or seek expert advice. Once you start skipping training sessions, it can become a habit. Remind yourself of your goals, daily, and make sure you’re still on track. Sure we all need to miss the odd session for all sorts of reasons but make sure you jump back into your regime with renewed vigour. To improve focus in the gym, try Sheer Strength Pre-Workout. This great supplement will have you pumped and ready to give it your all. Your body gives you constant feedback on how it is coping with your physical routine and all of life’s other little stresses. Listen to it. Feeling tired? Rest, or, at least, nap. Got a cold? No training until you’re fully recovered. A certain exercise causing discomfort? Make sure you’re performing it correctly, and if the problem doesn’t go away, it’s not for you. Over training can creep up on you and wreak havoc with your body. Ignoring the signs can lead to losing gains and fitness. If you constantly feel tired, have mysterious aches and pains, are finding recovery difficult, are experiencing persistently dark urine, or just generally seem to be going backwards, you’re probably over-training. 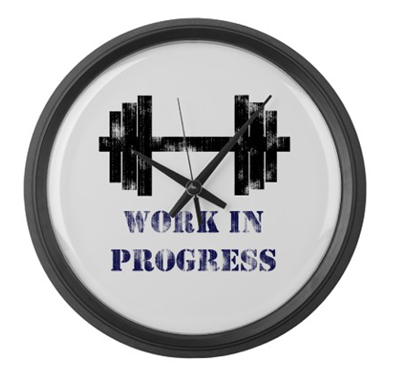 Take a few days away from training until you feel better, then ease back into a suitably adjusted routine. If you tweak something in the gym or have a persistent problem anywhere on your body, don’t just ignore it and try to continue. Stop, have it assessed, and find a solution before continuing with your training. Ignoring pain can lead to serious injury. Try working out in the morning. Sure, not everyone is a morning person, but you might find it actually adjusts your feelings on the matter. Working out in the morning can set you up for the day. You will already have achieved something before your day has begun, and that feels amazing! [caption id="attachment_5793" align="alignleft" width="400"] Pic: Flexonline[/caption] Everybody knows to stretch well before exercise, right Wrong! Over-stretching cold muscles and joints can lead to nasty niggles. Yes, warming up is important, but deep stretching is out. Some light stretching and mobilization work is good, but otherwise save the big stretches for after your workout, or at least until you are suitably limbered up. Keep things interesting. If you eat the same things every day, you will quickly become bored and disheartened. Be on the lookout for tasty, healthy recipes to keep some variety in your diet. You can also add herbs and spices to improve taste. Wholegrain foods are great for your heart and overall health. So ditch the white bread and rice for brown varieties today to instantly improve your nutrient intake. Sugars are lurking everywhere. Always read labels. You will be surprised what foods have vast amounts added to them. Also, cut down on obvious sources, such as tea and coffee. Steer clear of fast food, and other sources of bad fats. Instead opt for health-boosting good fats, such as those found in nuts and oily fish. These fats actually lower levels of bad fat in the blood, and aid in recovery. Yep, this one had to be in here! Don’t go throwing weights around! Proper technique is essential for effective training and impressive results. Taking Sheer NO2 Nitric Oxide Booster will increase blood flow to the muscles and help improve form by improving the mind-muscle connection. Prepare for some massive pumps. [caption id="attachment_5794" align="alignleft" width="400"] Pic: Stack[/caption] Make sure you have your big lifts right in the weight room. Squats, deadlifts, bench press, shoulder press etc. 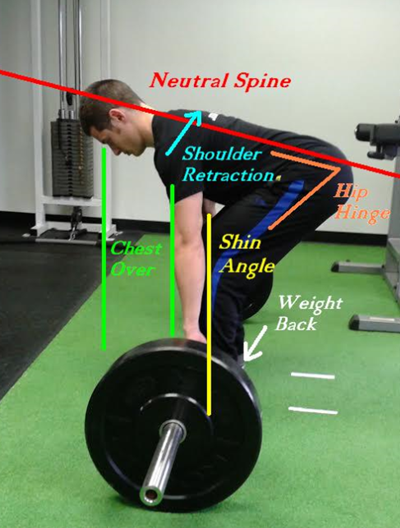 These are the most important lifts of your routine and are also the ones most likely to cause injury when performed incorrectly. Don’t just march into the gym and grab any old weight. Be aware that different rep ranges affect your body in different ways. For strength, use 1-6 reps. For muscle use 6-12. For toning up aim for 15-25. Don’t sit around playing with your phone or chatting, get down to business. The key to a great weight workout is intensity. Keep rest down to 45-90 seconds (slightly longer for heavy lifts). Lift with purpose. Try to be out of the gym within 45 minutes, 60 max. If you’re new to weight training, try training your whole body at each session, 2 or 3 times per week. Don’t overdo the sets, just stick to the core exercises, and keep form strict to make every rep count. There are some excellent supplements on the market, and Sheer Strength Labs have everything you need to take your training to another level. Make use of the state of the art science on offer and boost your body today. [caption id="attachment_5791" align="alignleft" width="400"] Pic: Bodybuilding.com[/caption] Keep a log of everything you do, from reps to calories. Write down what weights you used in the gym, what you ate and when, as well as any other useful information, such as average speeds and heart rates. All this valuable information can help you keep track of progress, and see where you might be going wrong. Always seek new challenges and don’t be afraid to step outside of your comfort zone. Are your one rep max figures becoming impressive? Consider entering a powerlifting competition. Are you enjoying your cardio? Why not enter a race? Training alone can be boring and repetitive. Adding a training partner with similar goals, and of a similar ability can really boost you towards where you want to be. You can bounce off of each other and spur each other on when the going gets tough, as well as swapping top tips. Not all gyms are alike. Some are geared towards cardio, some towards bodybuilding, and everything in between. Join gyms and facilities where you will be around like minded people, not somewhere you will feel like the odd one out. Finally, take a break from time to time. Every now and then your body needs total rest. Even elite athletes don’t train all of the time. Taking a week off every three months or so can help to keep you fresh and motivated.